Today, i thinks was my most busiest day, occupied from 10am until end of the day 12.00am and its continue until 7th February 2010 3.30am then only im have my home sweet home sleep and rest! Yeah, im visiting D'House on D'Tour organised by DiGi! Im enjoyed it very much! Thank you DiGi for inviting me! The D'Tour start 11.00am but im 10.00am left my house.... and the event ends on 5.30pm! 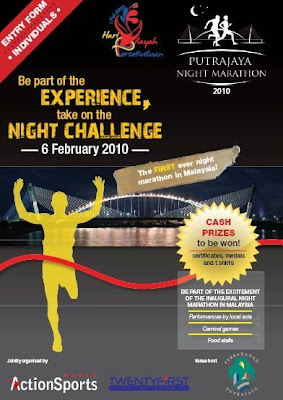 After the Digi event, im went to Putrajaya for my night marathon which start at 8.00pm!